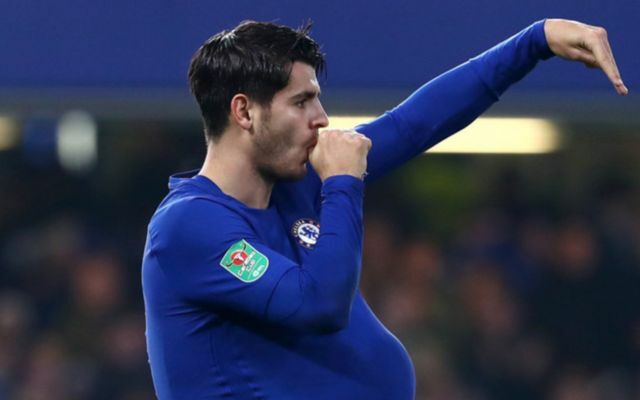 Chelsea had Alvaro Morata to thank tonight, as the forward scored a last minute winner to see his side beat Bournemouth 2-1 at Stamford Bridge and put them into the semi-finals of the League Cup. Chelsea opened the scoring in the 13th minute, after a wonderful move ended up with Cesc Fabregas squaring the ball to Willian, who tapped home to gives the Blues the lead. The Cherries equalised in the 90th minute, after Gosling placed the ball past Willy Caballero from the edge of the box to level the tie. The home side then won the game just a few seconds later, as a ball from Eden Hazard found Morata, who poked the ball home to put his side into the hat for the semi-final draw. Chelsea midfielder Ethan Ampadu was exceptional for Antonio Conte’s side this evening, with the youngster controlling the game with ease for the Blues. Despite his young age, Ampadu showed that he is well up the task of first team football with his calmness on the ball and passing range against Eddie Howe’s side tonight. Ethan Ampadu had a storming match today, and this stat shows how he helped his advance into the League Cup semi finals. Was very concerned when Ampadu picked up such an early yellow in this game, and feared for his evening. But he's put barely a foot wrong since. Saved Chelsea a couple of times too. Impressive performance. Good half #Chelsea. Ethan Ampadu is wonderful isn’t he? What a player. Calm on the ball, good decision maker, very solid in a challenge. Love him. Ethan Ampadu can't even order a pint in a pub, yet it only took him 90 seconds to bully one of the Premier League's all-time top goal-scorers off the pitch. I love this game. Ampadu is definitely my MOTM. Absolutely brilliant! Ampadu really was quality tonight, recovered after a stupid booking in first minute to give a performance which defied his years.